This volume presents the fruits of an extended dialogue among American and Chinese philosophers concerning the relations between virtue ethics and the Confucian tradition. Based on recent advances in English-language scholarship on and translation of Confucian philosophy, the book demonstrates that cross-tradition stimulus, challenge, and learning are now eminently possible. Anyone interested in the role of virtue in contemporary moral philosophy, in Chinese thought, or in the future possibilities for cross-tradition philosophizing will find much to engage with in the twenty essays collected here. "This is a terrific book. An exemplary example of what Angle calls 'rooted global philosophy.' There are American authors and Chinese authors. Virtue theory is important. The book will be widely read by ethicists and comparative philosophers." "The volume marks a substantial contribution to the virtue theoretical approach to Confucianism; the range of topics is impressive, as are the range of thinkers discussed . . . . The volume should . . . be an important part of the conversation moving forward." 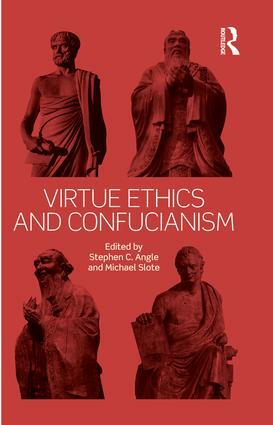 "Virtue Ethics and Confucianism has no doubt made Confucian tradition accessible to contemporary Western readers and enriched the contemporary discussion of virtue ethics as well as that of Confucianism."